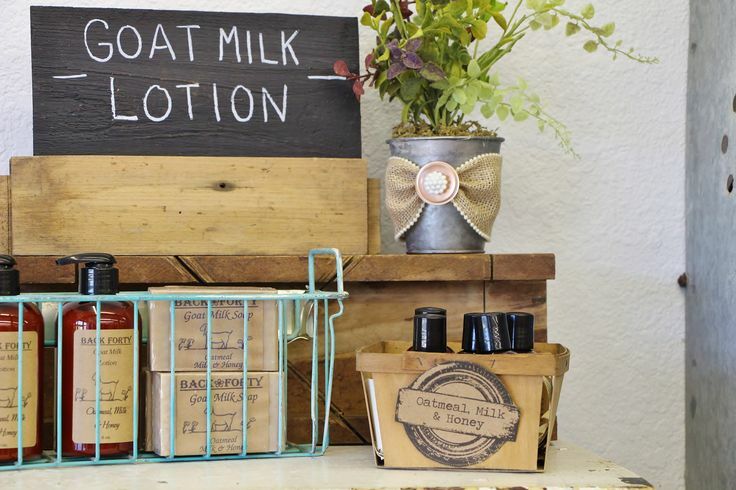 If you are a human, goat milk soap and lotion is for you! Everyone deals with problematic skin conditions from flaky, dry skin to aging skin to acne and eczema. This product is the remedy to many skin problems! Even people with allergies to fragrances can enjoy the many benefits to using goat milk products when they purchase the unscented line. Not only does goat milk contain vitamins and essential elements to make your skin healthy and radiant, it is also free of additives and chemicals (including many of the cancer-causing carcinogens found in many commercial beauty products). Goat milk also contains milk proteins which kill acne causing bacteria as well as lactic acid, an alpha hydroxy acid used to rejuvenate the skin to help prevent wrinkles and sagging. Alpha hydroxy acid clears your skin of dead skin cells, leaving new cells at the surface, which allows your skin to better take in the nutrients it needs. This also can help keep skin irritation and allergic reactions at bay, which is great news for those who battle eczema. * Tea Tree Oil contains ingredient that keep mosquitoes at bay. ** Tea Tree Oil contains ingredient that keep mosquitoes at bay. Charcoal contains ingredients that remove toxins from your body (which helps prevent cancer) and help draw dirt from pores.